An important award for our contribution to the local community. Once again, the company “the Manna” Tsatsaronaki stood out for its contribution to the local community. 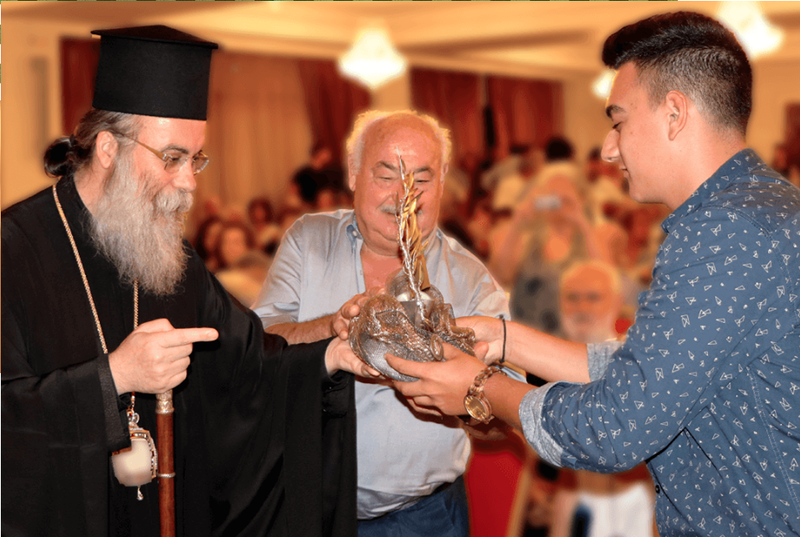 On October 3rd, we were honoured to be awarded by the Ecumenical Patriarch Bartholomew for our contribution to the local community at an official dinner at the Tsatsaronakis Centre in Chania. 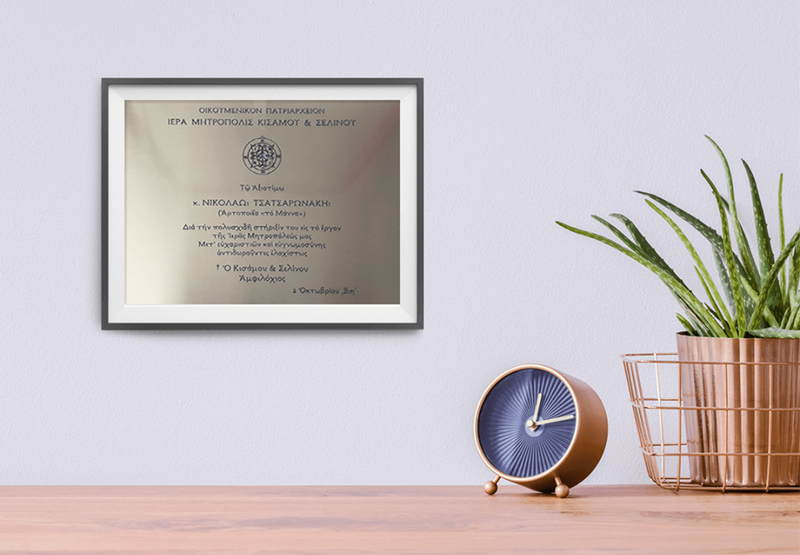 The company was represented by our Chairman Nikos Tsatsaronakis, who received the award along with two other successful entrepreneurs, namely the owners of the Phoenobeton Company and the Avra Imperial Hotel. The award ceremony was held shortly before the official dinner at the Centre attended by the President of the Hellenic Republic Prokopis Pavlopoulos and a host of political, local and military authorities. This award is the culmination of our targeted and sustained effort to realize our vision of contributing to society and people. The Tsatsaronakis family was rewarded for its important social contribution. 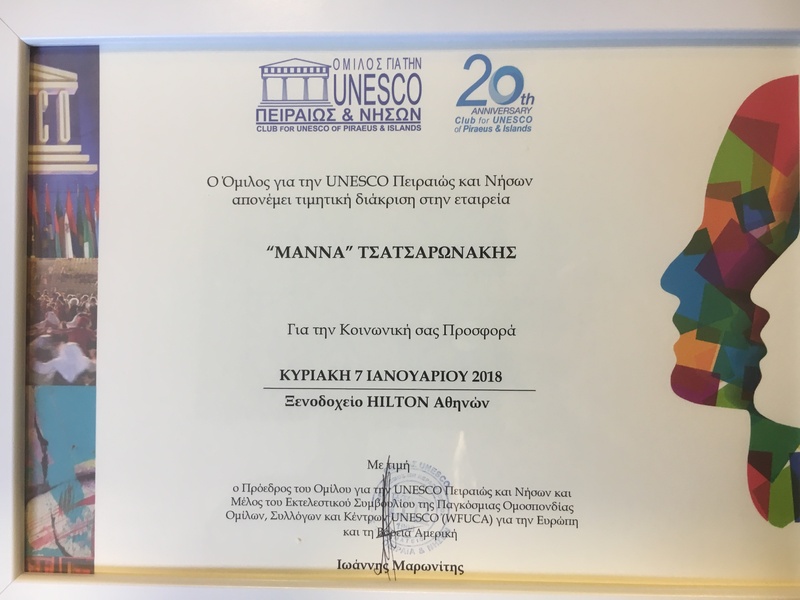 The company is awarded an honorary distinction from the UNESCO Club of the department of Piraeus and Islands for our social contribution, 2018.